Modern feminism is thought to have had its roots in the 1960s and 1970s. The Equal Rights Amendment to the Constitution sought to guarantee equality for women. Female activists got caught up in protests, rallies and made themselves heard and seen in corporate board rooms and on city streets. They had a godmother, of sorts. Arguably, she was Eleanor Roosevelt, wife of the 33rd president of the United States and a member of one of the country's most politically powerful families. Eleanor Clift profiles Eleanor Roosevelt in an essay published in The Daily Beast and sets the table nicely for a Ken Burns documentary special set to air later this month on Panhandle PBS. She wasn't universally loved. Eleanor had her critics during the time preceding her husband's election as president in 1932 and certainly during their record-setting time in the White House. FDR was elected four times as president, but died shortly after his fourth inauguration in early 1945. Eleanor's critics accused her of “'gallivanting' around the country at taxpayer’s expense, but like her husband, she wore the attacks like a badge of honor, " Clift writes. What made her a feminist icon? Clift said it is contained in a letter. Eleanor Roosevelt understood that struggles often take time to complete and one cannot expect to declare victory without first taking a few hits. 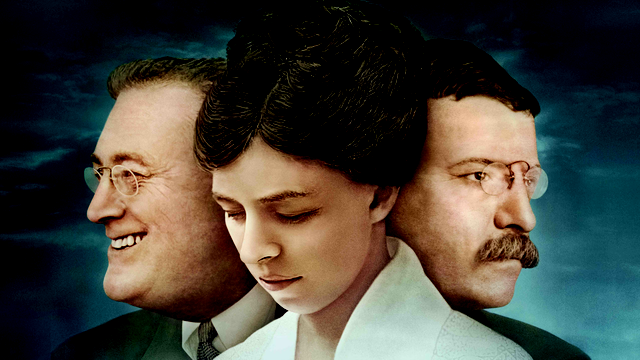 "The Roosevelts" will air on Panhandle PBS Sept. 14-20. It is a 14-hour special on the lives of Eleanor and Franklin Roosevelt, but also on their distant cousin, Theodore Roosevelt. The broadcast airs at 7 p.m. each night.